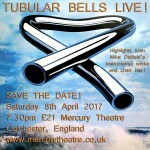 Home→Arranging→Tubular Bells – 5 days to go! 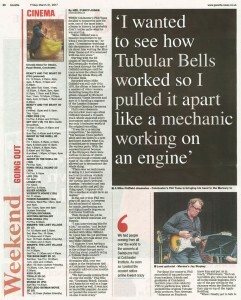 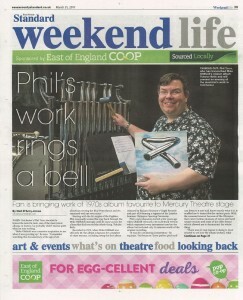 Tubular Bells – 5 days to go! 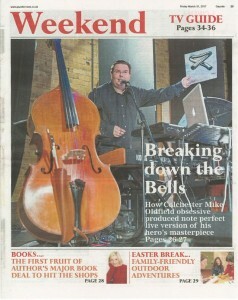 Well, it’s 5 days to go and we sold out on Friday last week. The band is overwhelmed by the support and great messages from fans and friends around the country and we’re looking forward to meeting you all (again, for the regulars!). If you’re driving then the new footbridge from St Mary’s Car Park is now open and other car parks are nearby too. 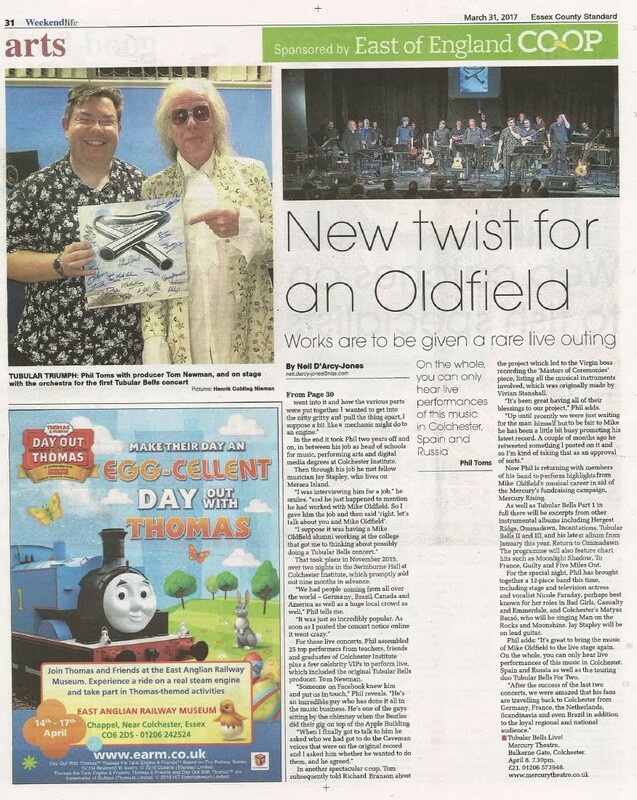 I had a great interview with Neil D’Arcy-Jones from the Colchester Gazette and here is the amazing coverage from the Gazette and the Essex County Standard – along with this online article from the Gazette and this one from Ipswich! 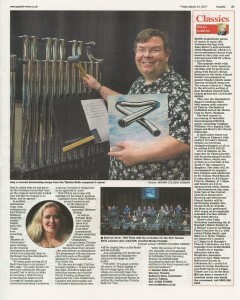 Click below to open up each page.